Never have I been so impressed by a movie upon my first viewing. Usually, I will need several days to think the whole thing through and see it many times before finally being able to put my thoughts into words. This was not the case with Mockingjay Part 1. 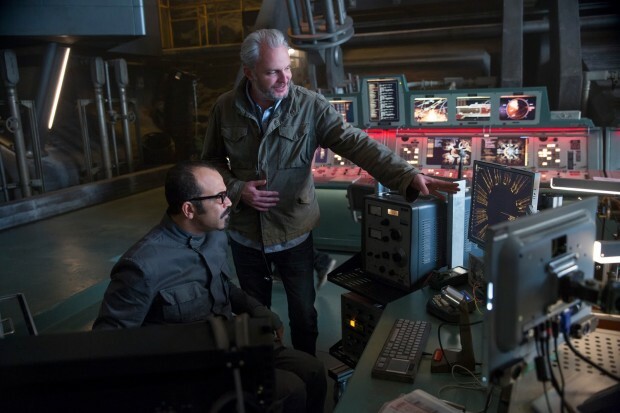 Francis Lawrence shows Jeffrey Wright something on the screen. The first word that crosses my mind to describe the film is “real.” Francis Lawrence announced months ago that the movie would be shot differently, and as Mockingjay Part 1 played out before my eyes, I finally understood what he meant. In The Hunger Games, there is a much smaller scope, which allows a fast and decent explanation of everything that we see on screen. In Catching Fire, the world starts expanding, but revolves around cameras, looks, and interviews. We get a closer look at the actual characters, but in Mockingjay, we truly explore the different sides of all characters in a way that feels so much more realistic. We are not watching what happens in Panem, we are Panem. Our beloved director, as he did with the second book, tried to bring as much – if not all – he could from the source material, which is exactly why fans of Suzanne Collins’ science-fiction trilogy love these adaptations tremendously. We have had numerous examples of adaptations only loosely based on books, and we all know what happened to most of them. 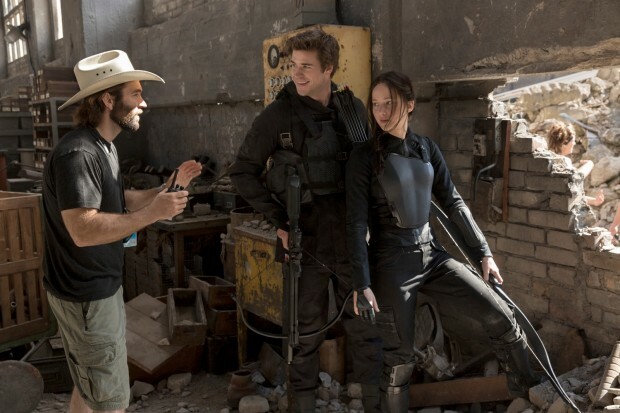 Jennifer Lawrence and Liam Hemsworth on set. The cast, which for the most part was originally assembled by The Hunger Games director Gary Ross, performed just as they have in the past. Jennifer Lawrence and Liam Hemsworth’s chemistry was much needed because they share many scenes together, whether it be friendly, romantic, or dramatic. 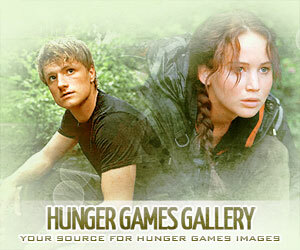 The scenery in the District 13 hunting scene helped in creating a beautiful picture of the complicated relationship between the pair. Josh Hutcherson’s tortured Peeta was almost scary, and it was exactly what is described in the book. He had an evolution throughout the movie, starting with a distraught young man and ending in an almost crazy muttation created by the Capitol, helping them without having the slightest clue. 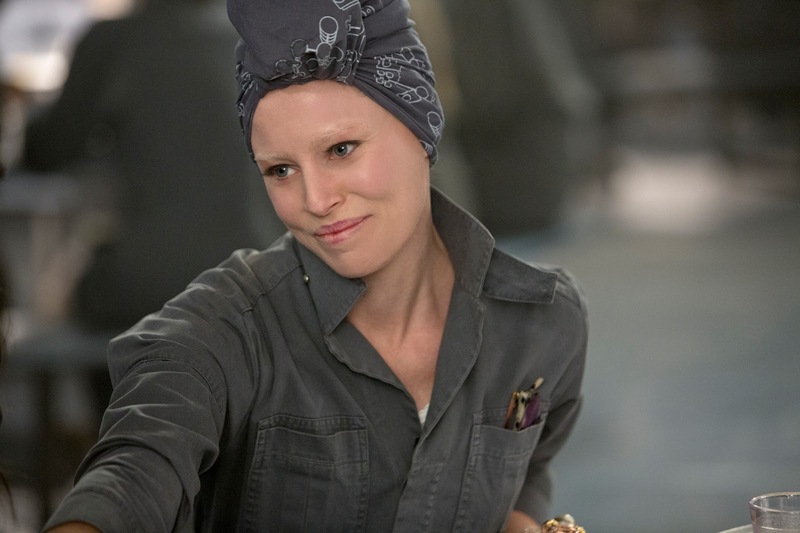 Elizabeth Banks, who returns as Effie Trinket, once again brought comic relief to the very dark plot of the film. The scenes with her and Woody Harrelson were some of the most humorous scenes of the movie. Julianne Moore, a new addition to the cast, managed to surprise me. Her President Coin was both cold and powerful. Just like her Capitol counterpart, she can lead a people, even if she has other ideas on her mind. Effie Trinket needs adaptation in 13. Donald Sutherland’s President Snow is trying to be in control of Panem, but the rebels – or radicals, as he decided to call them– are slowly taking over his country. The Capitol may be the beating heart of their nation, but it is also much smaller than the rest of the population. The scenes in the various districts were really violent, but effective. We saw traitors being shot in order to spread fear, a group of workers scampering up trees to kill Peacekeepers, and other people literally sacrificing themselves to the cause by breaking a dam, which leads all of Panem to lose its power supply. 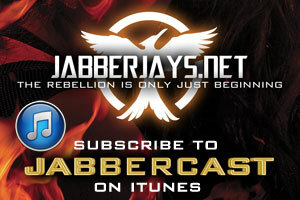 And let’s not forget the cruel act of bombing a hospital full of wounded people, or even the rubble of District 12. President Snow addresses the nation. The propos were better than I could ever have hoped for. I really loved the scene where Katniss tries to act on a sound stage, and Haymitch realises that it simply will not work that way. She is way more natural – and efficient – when she is in the field. As some of our staff members have pointed out in the past, the logo at the end of every movie trailer in the franchise was the exact Mockingjay logo described in the book at the end of the propos as well. One thing I didn’t like as much as in the previous films was the score. James Newton Howard has been scoring the first two movies so beautifully, but I feel as if he over used the Catching Fire score in this one. Not a single track stood out to me, except ‘The Hanging Tree’, which I ended up singing long after I left the theatre (bravo, Jennifer!). Overall, I was immensely pleased with the movie. There was enough closure to justify the cut of the book into two parts, but I still did feel as if there was a little something missing, something that we will have to wait another full year to obtain.